The Interactive Achievement Awards, the awards presented at the D.I.C.E. summit, are what I would consider a much more prestigious club of developers and winners when compared to the VGAs. While the VGAs may be fun, flashy and a bit too Hollywood, the IAAs represent a collection industry professionals. These games are selected by fellow developers for the honors they receive. Mass Effect 2 and Red Dead Redemption, among other standouts like Limbo and Heavy Rain, absolutely cleaned up at this year's award ceremony. ME2 picked up Game of the Year, Outstanding Achievement in Story and two others. 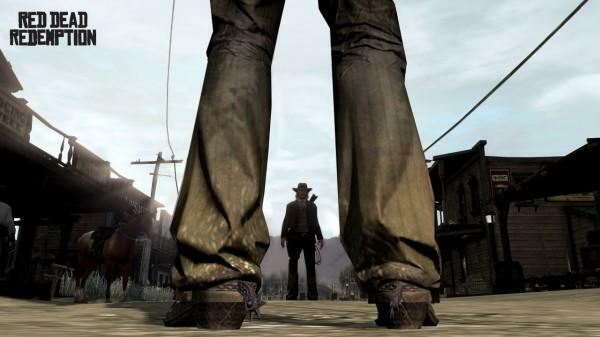 Red Dead Redemption was handed the nod for Art Direction, Character Performance and three others. In such a banner year for gaming, and 2011 only looks scarier, seeing the cream rise to the crop and get the recognition it deserves is nice. Games that are missing from the list of winners: Black Ops, Mario Galaxy 2 (that one is actually a bit of a shame), Bad Company 2, Assassin's Creed: Brotherhood and others.